DonQui realises that he has not talked much about food yet. This is quite unusual as he has food thoughts most of the time. 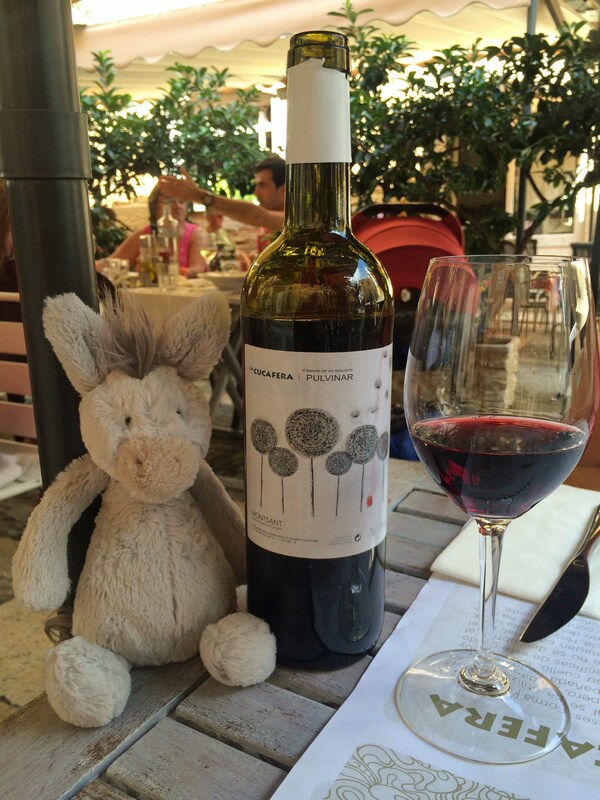 One of his greatest joys when travelling comes from trying out new dishes and his stay in Tarragona was no different. Duchess rather fancied a paella but the set menu at the inviting looking Cucafera Restaurant near the cathedral caught DonQui’s eye. For €15 he could have arròs negre – a paella-like dish of rice cooked with squid ink along with a starter and desert. With house wine at €9 a bottle it was too good to pass up. 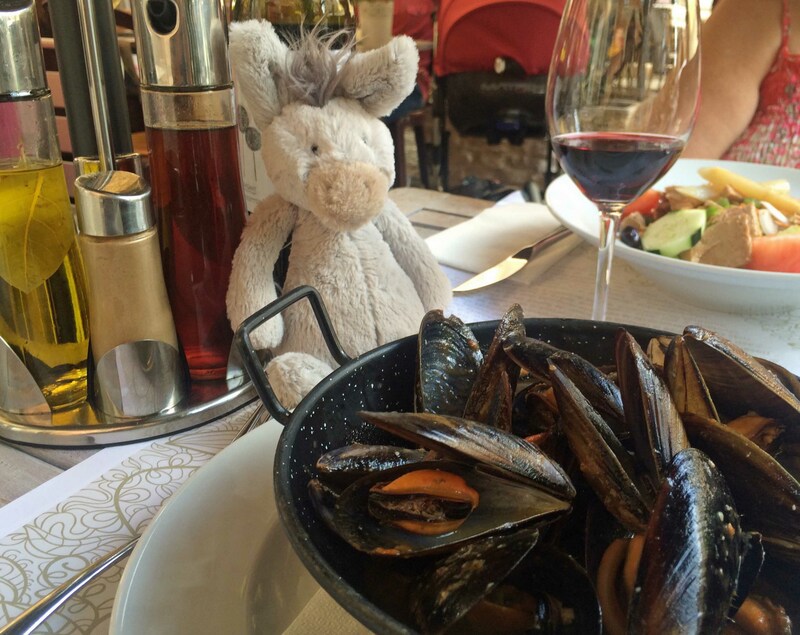 The mussels DonQui chose for his starter were amongst the best he had ever had. Their taste reminded him of the sea. Duchess, who had a mediterranean salad with tuna, found them a bit too salty but she thoroughly enjoyed her salad. 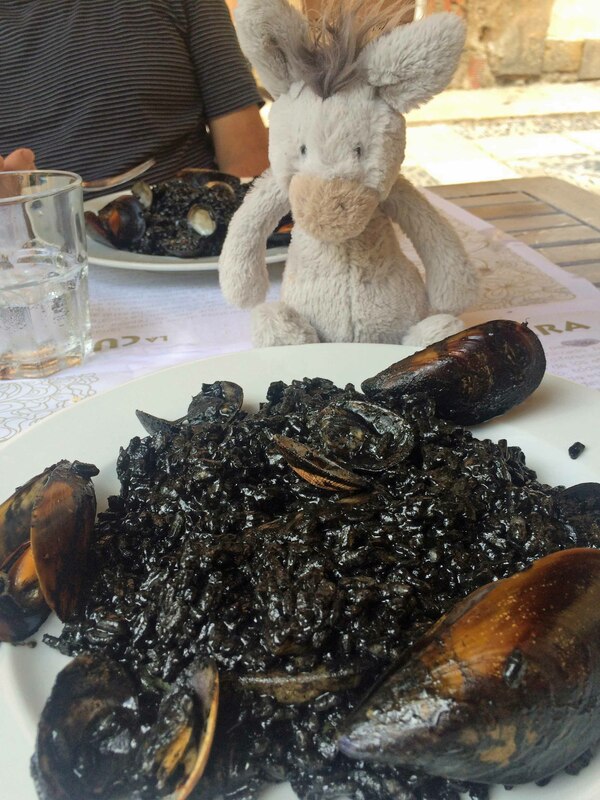 This black rice looks… well rather black… and very shiny, DonQui thinks as he contemplates the dish in front of him. But when he tucked in he released that it was even better than meadow hay. Strips of squid were hidden amongst the rice, the dish had a deep rich flavour and the seafood was cooked perfectly. To DonQui’s mind it did not surpass the beautiful saffron taste of a good paella but he was very glad to have tried it. 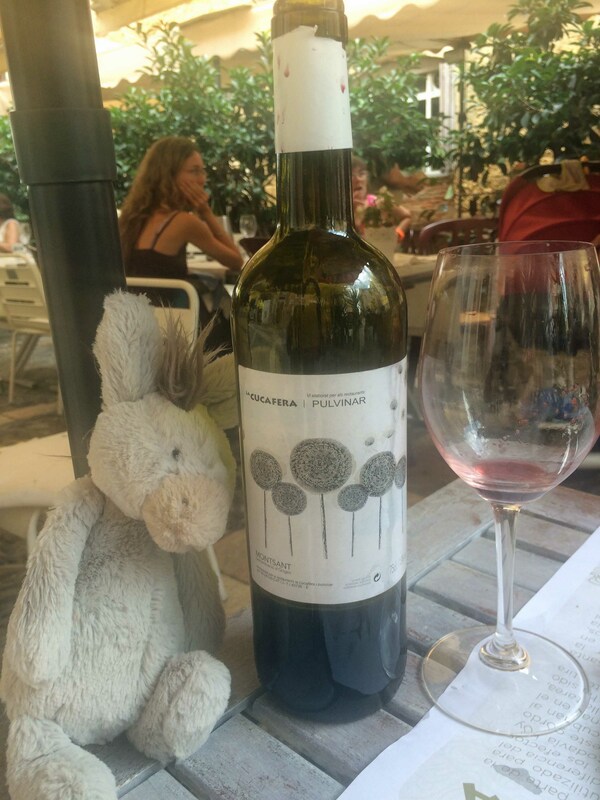 The house wine was a local Montsant – not a wine DonQui was familiar with. The grapes are grown just a little inland from Tarragona and this particular bottle was a full bodied mellow red which went very well with the arròs negre. It went down so well that by the end of a long leisurely lunch DonQui was left with the feeling that he should look for a nice shady tree to lie down under for an hour or two. Cucafera Restaurant for a long leisurely lunch outside under an awning on Place Santiago Rusinyol in front of the cathedral. Pulvinar, Carrer dels Ferrers, 20, 43003 Tarragona. Owned by the same people as Cucafera but equally as good. They also have pizza which DonQui did not try.